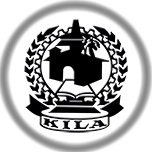 An online digital repository for local governance has been created by KILA, using D-Space. D-Space is an open source repository software package typically used for creating open access repositories for scholarly and/or published digital content. The D-Space repository software serves a specific need as a digital archives system, focused on the long-term storage, access and preservation of digital content. The D-Space works under the Linux Operating system and it uses the PostgreSQL as database. The provision of uploading different categories of documents has been incorporated inside the software. The following are the major community inside the archiving system.